So, Halloween happens here in Peru. It’s odd, but as October drew to a close, you saw more and more shops advertising for the holiday. They featured candy sales, special costumes that you could for your children, and on the day of Halloween some classic cotton webbing and hanging banners proclaiming “Happy Halloween” (really, in English, not Spanish. I think the market isn’t big enough yet to manufacture signs outside of English). There is a big push to celebrate Halloween. Yet everyone I interact with is anti-Halloween or at least resistant. My host family thinks it is strange that it is in Peru and decided not to celebrate, stating that they are Christian. That cracked me up considering how critical Halloween was to my upbringing. The people I work with spoke about with mild disdain and dislike for the emphasis on scaring children. Mainly, they felt it took away from the Peruvian holidays during that time, Día de la Canción Criolla and Día de Todos Los Santos. I don’t like the argument that Halloween is bad because it has bad traditions. The traditions are just traditions. Most of them are, of course, driven by a want to sell candy and costumes, not a pagan tradition about renewal of the Earth, which I’ve heard as one origin tale. Still, it’s just a holiday with traditions and that none of those are inherently bad. 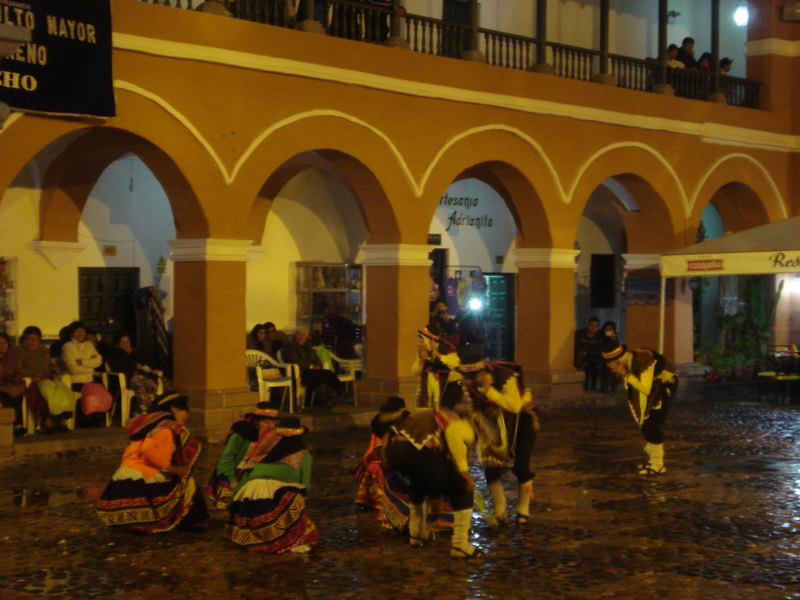 I agree more with the disdain for the fact that Halloween steals attention from pre-established Peruvian traditions. That’s discouraging. Plus, there’s the uncomfortable level of western cultural hegemony. Personally, I don’t much like importing traditions for the purpose of commercial sales. 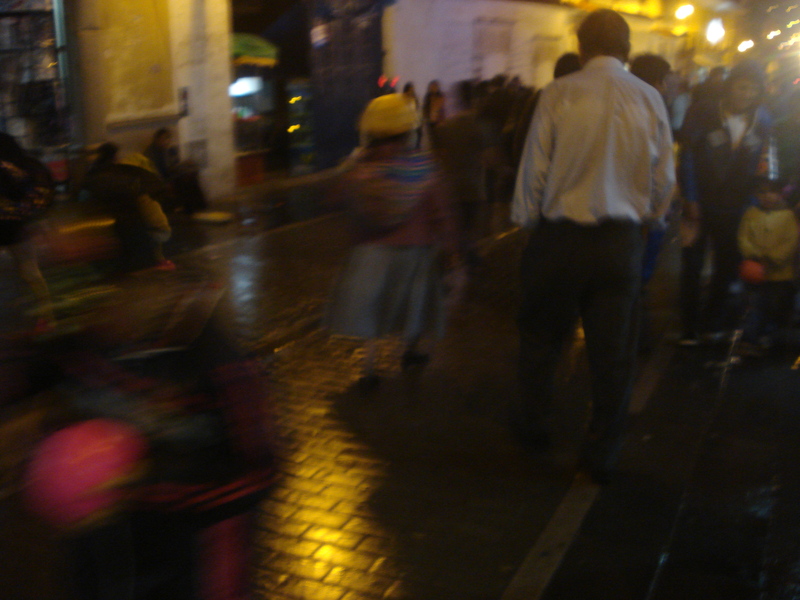 Essentially, Halloween was brought to the Peru from multinational corporations looking to create a new market. It’s an easy sell: free candy and silly costumes. You can see the connection to multinationals on the television. The Disney and other kids’ channels frequently advertised the holiday by rebranding their logos and showing Halloween-themed episodes. Movie channels like HBO and Sony designed their month’s content around horror and fantastical plots. I can’t fault the companies for wanting to do that. And I can’t fault people for wanting to celebrate. What I don’t understand though is how it’s all worked. I want out on Halloween night and kids were running around the plaza and downtown streets with their parents. They went from storefront to storefront gathering candy and even a few houses. This is evidence to the fact that the “giving out of candy” has not caught on yet. Instead, children and open-minded parents are driving this holiday. I also saw some dancing, likely in connection to Día de la Canción Criolla, though it was largely attended by elderly instead of children. It’s evident that the cultural-change is intimately tied to age demographics. Anyway, I wanted to just bring this all up. I don’t like that Halloween takes focus off of cultural holidays here, yet people have the right to abandon their culture. At the same time, I can’t ignore the economic-driven push for homogenization from major corporations. Honestly, I think the two can coexist, though I can see why corporations might resist that. And if people do not appreciate the invasion of a new tradition, I understand that. The point is, it’s odd and happening around the world. This was likely for Día de la Canción Criolla. That orange thing there? A pumpkin-candy bucket.